How To: Compute with Wolfram Alpha directly from Chrome Browser. 1. Go to Chrome web store an search for Wolframalpha, or simple click on the above download link and click on “FREE (ADD TO CHROME)“. 3. 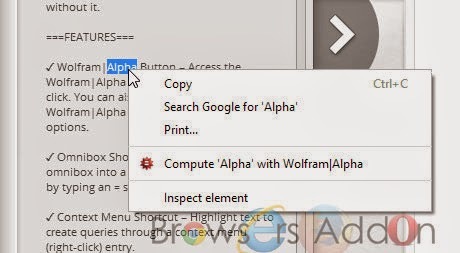 Now, Wolfram|Alpha icon with message pop up appears at upper left corner of browser, indicating that the extension has successfully integrated with the Chrome. 1. 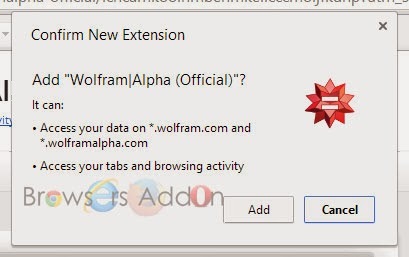 On successful installation, you will notice Wolfram|Alpha extension to the right side of URL bar. 2. To search or compute there are several ways which are described below…. i. Select the word which you would like to search and right click (RMB) and click on “Compute ‘abcd’ with Wolfram|Alpha“. ii. 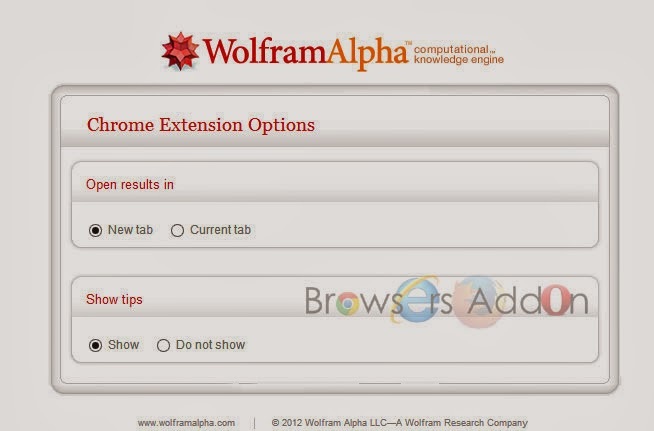 Just Click on the Wolfram|Alpha extension which is located at right side of the URL bar. iii. To directly search from the URL bar……. b. Or, simply type “=” and press Tab. 3. To change access Wolfram|Alpha preferences, right click on the Wolfram|Alpha extension and select “Options“. 2. Now, un-tick the Wolfram|Alpha to temporarily disable the extension. Click on the dustbin icon and you will be greeted with pop-up, click “Remove” to remove the extension from Google Chrome. 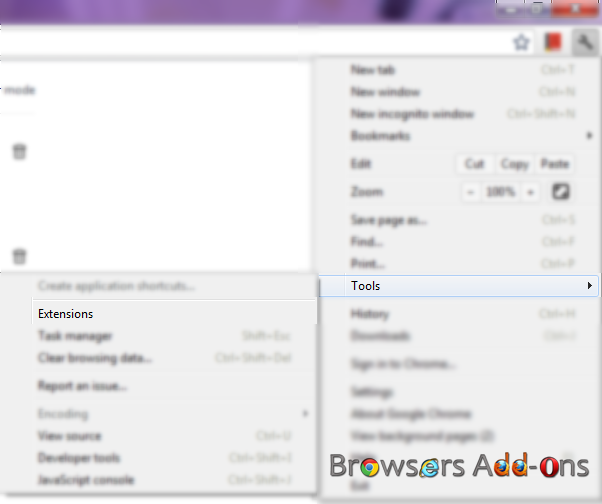 Customize Font Style, Size, Color in Mozilla Firefox with Theme Font & Size Changer. Next story Mozilla Firefox for Android Now Super Charged for Intel based x86 Processor. Previous story How To: Block Images to Load Site Faster in Mozilla Firefox with Image Block Addon. Turn Mozilla Firefox into EPUB Reader With Free Books Collection.